In January (2014) I had the opportunity to join a trip to Burma planned by the Global Fund for Women to study the status of women and the general situation of the emerging democracy in Burma. We first visited the Thai-Burma border where we met with members of the Women’s League of Burma and learned of their efforts over the years to develop women leaders and advocate for the needs of women and girls both on the border and inside Burma. We then visited Rangoon and Mandalay and had the opportunity to meet with service providers, entrepreneurs, political prisoners and others who have been working to promote democracy and women’s rights in Burma. 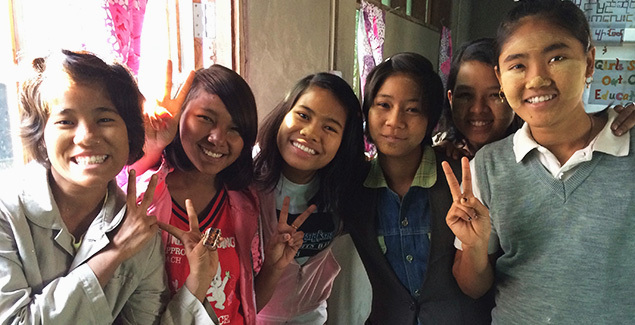 We met with a group called “Colorful Girls” in Mandalay which is helping teenage girls develop leadership skills and confidence. One girl spoke to us and said “I used to wish I was a boy. Now I see the opportunities girls have and I am so happy to be a girl.” It was wonderful. 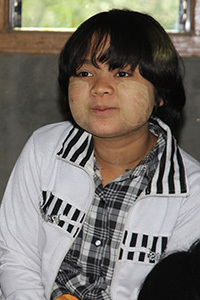 Burma needs many things to develop its girls into leaders in their society. A better developed school system, health system and legal system. They need spaces for women to meet and for girls to learn. They need political participation by the strong, brilliant women in all of the ethnic groups seeking dignity and representation in the government.